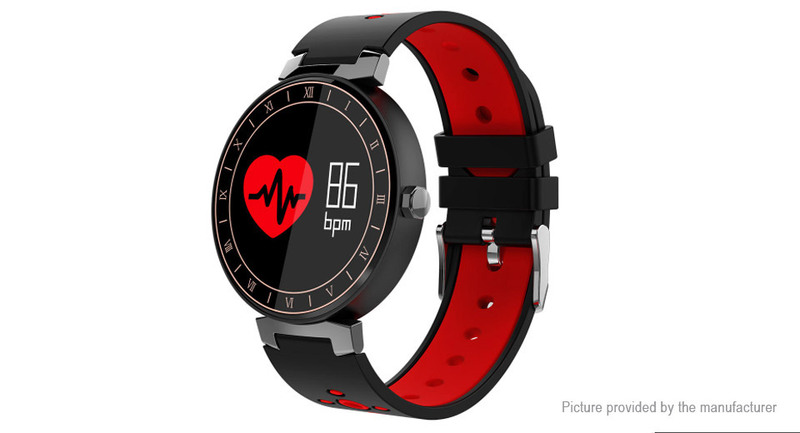 Multifunction Watch: Heart Rate, Blood Pressure, Blood Oxygen Monitor, Sleep Monitoring, Stopwatch, Alarm, Riding Mode, Swimming Mode, Pedometer, Steps, Distance, Calories, Remote Camera, Calling Reminder, SMS, Sedentary Reminder,Hand Raise Light Up,etc. All-day Activity Health Tracker:This smart bracelet tracks steps, distance, calories and can monitor blood pressure, heart rate, blood oxygen and sleep.You can check your daily activity data and health status on OLED display screen at any time. Message Push: Intelligent notification be clear at a glance, call reminders, SMS alerts and reminders of social information(such as Facebook,Twitter, WhatsApp,LINE,etc).You will not miss any important information, when your phone is inconvenient at hand. Wide Compatibility: Fit for Bluetooth 4.0, Android 4.0 above or IOS 7.0 above only for smart phone. Cool Fashion Design: Combined with fashion, sports and business. 0.95 inch colored display and adjustable wrist strap. It can be used as fitness tracker, health tracker. Ultra slim and light design to give you a comfortable wearing experience.